So the worst has come to pass - you realise you clicked on that order button too fast, and the site you used was a scam - what now? Well first of all don’t despair!! The first port of call when having an issue is to simply ask for a refund. This is the easiest method of gaining a refund, if they are in fact a legitimate store. By using PayPal you have a strong chance of getting your money back if you were scammed. On their website, you can file a dispute. This is valid within 180 calendar days of your purchase. "If your order never shows up and the seller can't provide proof of shipment or delivery, you'll get a full refund. It's that simple." The scammer has sent you a completely different item. - For example, you ordered a PlayStation 4, but instead received only a Playstation controller. The condition of the item was misrepresented on the product page. - This could be the item was stated as brand new, yet has obvious signs of use. The item is missing parts or feature, and this was not disclosed. - You purchase a shelf including all screws for assembly, yet on arrival, these are not included. The product you received was a counterfeit version of the product and was sold as genuine. If you have paid the online store via a debit card or credit, your best bet is to go through your card’s bank, and check if they have a section on ‘disputed transactions’ or mention the ‘chargeback’ process. This process can be rather complicated - as demonstrated perfectly by this infographic from Chargebacks911. But just what is chargeback? Money Saving Expert states that chargeback is useful for when you buy something online and the goods/services are: faulty, not provided, not delivered to you as the company went bust. Your bank will go directly to the merchant’s bank to refund the amount back to your account (if the claim is valid). The period is which you have to ask for a chargeback is 120 days of when you paid or noticed the issue. For those of you from the United Kingdom, you have a friend in Section 75 of the Consumer Credit Act 1974 (if you’d like to know more, check out the full legal text over at Money Saving Expert). What does it mean for you? Well, this piece of protection means that if you paid more between £100 – £30,000 you can get your money back if you don’t receive the item ordered or something was as it should have been. The difference between this and chargebacks s that this isn’t a voluntary scheme from the card providers. These protections are enshrined in law. Why we at Scamadviser think this protection is great for consumers is that it also protects users from a company who has let you down and then goes bust. Note: Be careful not to use a third-party such as PayPal when paying by credit card. This can invalidate your right to claim under Section 75. For further details look here. This policy is put into place by Klarna to help you as a consumer have peace of mind if your product is not delivered or if it is defective. This policy covers all online purchases that you make as a consumer when using their service. "1. Double-check that you haven’t missed a delivery notice. 2. Contact Klarna’s customer service to have the payment due date postponed. 3. If you still haven’t received your goods when the new due date approaches, contact Klarna’s customer service. We won’t ask you to pay while we are looking into the matter. If our investigations show that the goods have not been delivered, we won’t ask you to pay – unless one of the exceptions applies (please see below)." 3. If the problem remains unsolved, contact Klarna’s customer service. We won’t ask you to pay while we’re looking into the matter. If your investigations show that the goods have not been delivered, we will refund your payment – unless one of the exceptions applies (please see below)." Klarna is clear on this point. If the goods are defective you won't be paying a penny. "...not something you ordered, is defective, damaged or incomplete at the time of delivery, or does not match the merchant’s description of the product at the time of purchase." 3. If you haven’t reached an understanding with the merchant before the new due date, contact Klarna’s customer service. Please have your order information with you during the call, including the merchant name, date of purchase, order number, description of the disputed good, and date when you first contacted the seller about the dispute. We will only ask you to pay if we conclude, based on an extensive investigation, that your claims are invalid." Have you already paid for a defective good(s)? 2. If you cannot reach an understanding with the merchant, contact Klarna’s customer service within the statutory cooling off period. If investigations show that your goods are defective, we will refund the amount you paid for your purchase, including shipping charges." For more details (and for full information regarding any exceptions) please visit Klarna's main website. Which.co.uk has the following to say about getting your money back from a bank transfer. When you have fallen victim to a scam that led to you transferring money to another bank you should contact your bank immediately. Once notified they can attempt to recover the funds. If this is not successful, you can make a complaint to your bank or get in contact with your local financial ombudsman. Furthermore, Which.co.uk states that contacting the authorties and having a case number on hand can help with this process. Beware of using money transfer services. 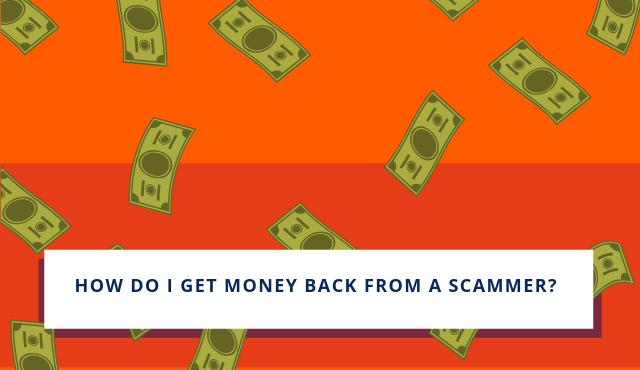 Which.co.uk points out that using services such as MoneyGram, PayPoint or Western Union (a favourite among scammers) can make it difficult to get your money back. The best advice here is that if you aren't sure about the transaction, do not choose this method of payment. Are you looking at a financial statement with an odd purchase? Perhaps an amount that is deducted by a company you have no memory of? You're not alone, and it could be an unauthorised withdrawal. If this is the case contact your bank as soon as possible. Depending on where you live there may be regulations in place to protect you and perhaps provide a refund. Scamadviser Note: This page will be updated as we add more information! Vă mulțumim că ați raportat un caz de abuz. what possible if the scammer does not take this method of payment and done by crypto curency? Will this also be re-claimed back somehow? Nice article. Thank you! But what if I paid with another payment method like Klarna or wire transfer? Acest comentariu a fost eliminat.